Love vacations but hate arranging all the details? Let us help you have the perfect Sun Valley vacation! 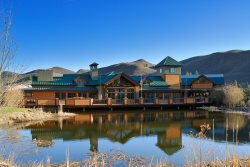 Sun Valley Luxury Lodging, LLC is privileged to provide unsurpassed Concierge Services to make your stay in Sun Valley fun, relaxing and enjoyable. As we are committed to ensuring your Sun Valley stay with us is unparalleled, most of our concierge services are complimentary. We offer an expansive array of services where nothing is too big or too small- just ask.